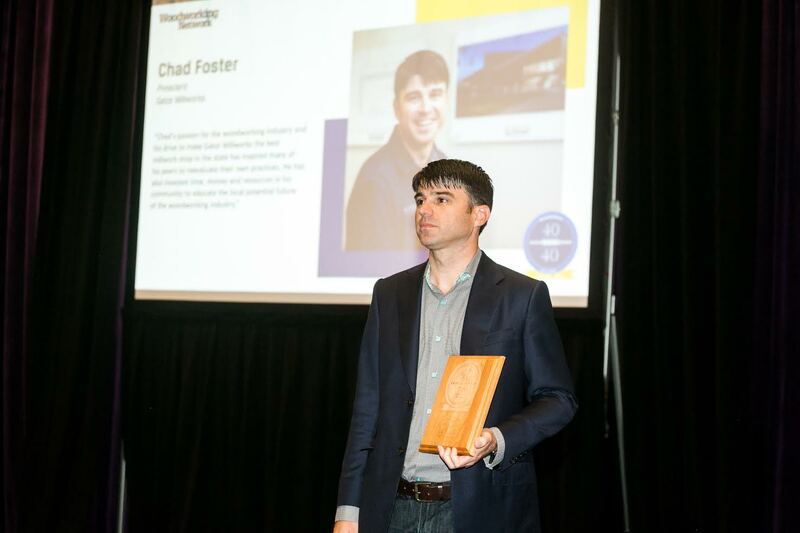 Chad Foster, CEO and president of Gator Millworks, has been named to the Class of 2018 Woodwork Industry 40 Under 40. The program honors individuals in the next generation of leaders who are making an impact on wood products manufacturing in North America. For 2018, 41 individuals were selected from over 130 nominations. 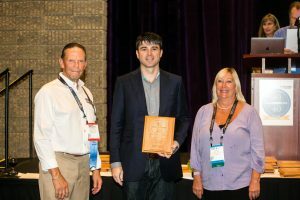 The Class of 2018, sponsored by the Wood Machinery Manufacturers of America (WMMA), was recognized August 21, at the International Woodworking Fair Leadership Reception held at the Georgia World Congress Center in Atlanta. “I am honored to receive this recognition on behalf of all of us at Gator Millworks. It is great to see the recognition of this industry being brought to our market.” said Foster. Chad understands the power of high standards and efficient processes. “This award comes comes from doing things right. We strive every day to listen to our customers and take pride in providing them with an exceptional final product,” said Foster. “He has also invested time, money and resources in his community to educate the local potential future of the woodworking industry,” said Altazan. Described as devoted, business minded, hardworking and compassionate, “Chad’s concern with the well-being of his employees and understanding that life can take unexpected turns was fully on display after the devastating floods that hit Louisiana in 2016. With over 6 feet of water throughout the Gator Millworks buildings, he realized it wasn’t just production that was going to take a hit; it was employees, family members and friends throughout the area who had also lost everything,” said Altazan. Chad Foster is 38 years old and lives in Denham Springs, La with his wife Kelly Foster and their two children Alayna and Mia Foster. 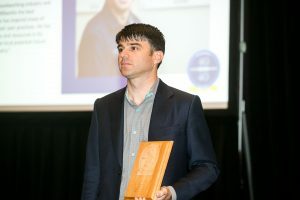 Learn More about the award and this year’s honorees at Woodworkingnetwork.com.